Happy Holidays and Happy New Year from Thrills by the Bay! 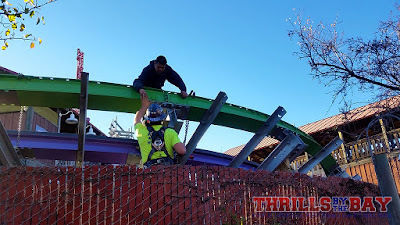 We decided to take a post Christmas trip to SFDK for a cold and quiet day at the park and check out some of that Joker track that's been going in over the past month. 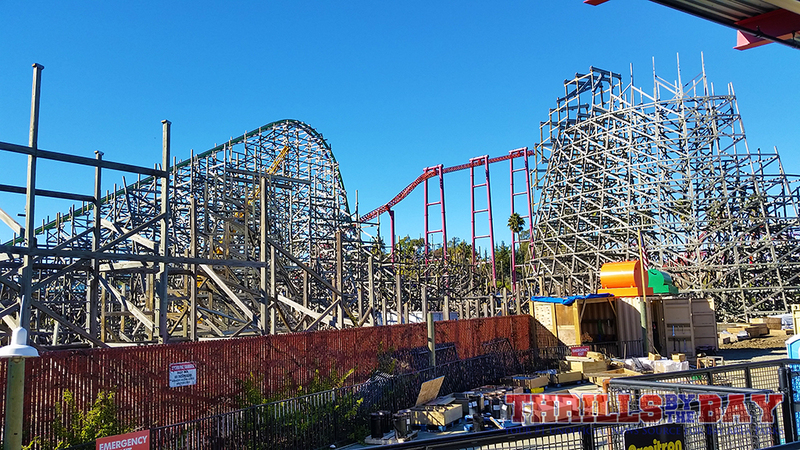 While there's a long road ahead, there was quite a leap from our previous visit (11/27/15) and there are many elements that are beginning to take shape. Upon entering the parking lot as we round the back end, you can see more Joker track sitting out in the open. Hopefully nobody decides to come up and vandalize it. 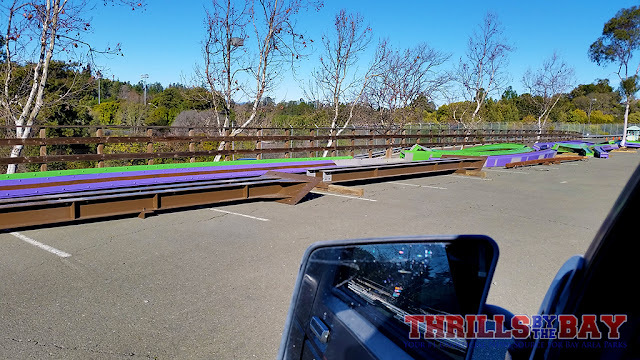 Rails are sitting right out in the open. Any idea what these brown beams are? Be ready to be lifted out of your seat! 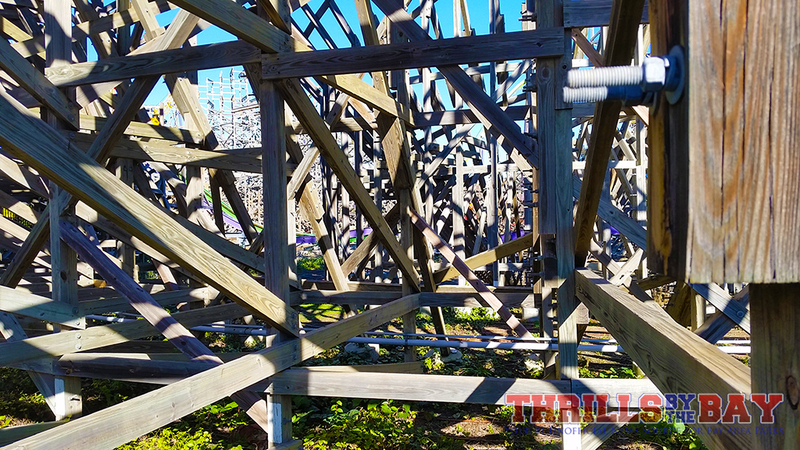 Close up of that steep drop! 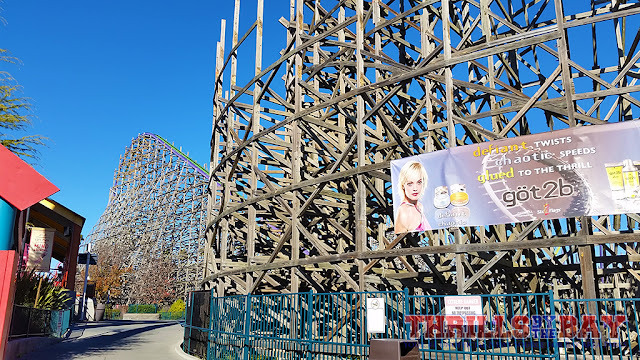 There are several other areas of the ride that now have track as well including the brake run and the whole pre lift section all the way to the bottom of the first drop. 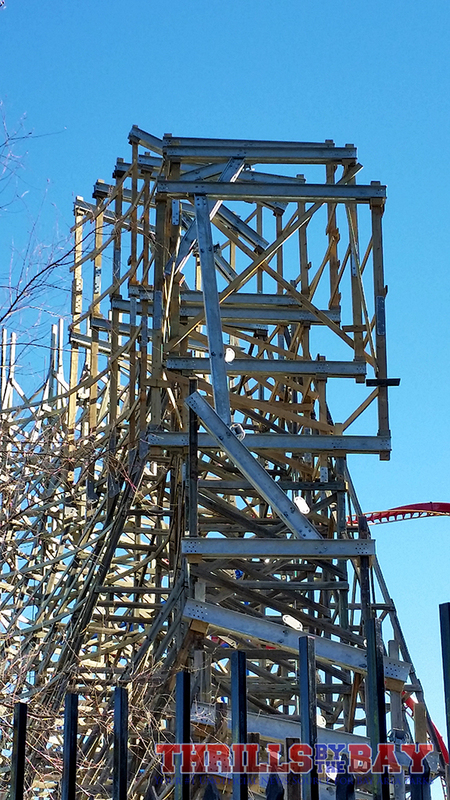 Of course the pre lift section is really hard to see unless you're riding Sky Screamer. 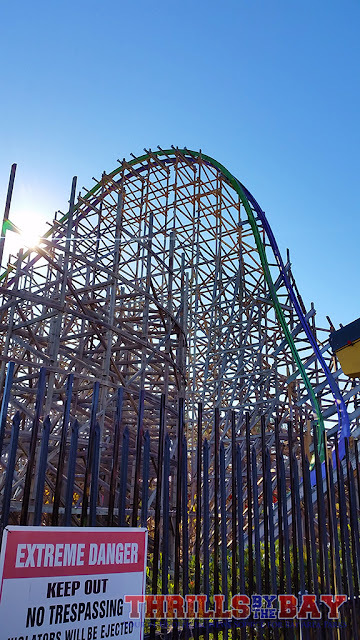 Due to park policies (and we will respect the park's rules), photography on Sky Screamer (along with any other ride in the park) is prohibited so the visuals will live within our memories. 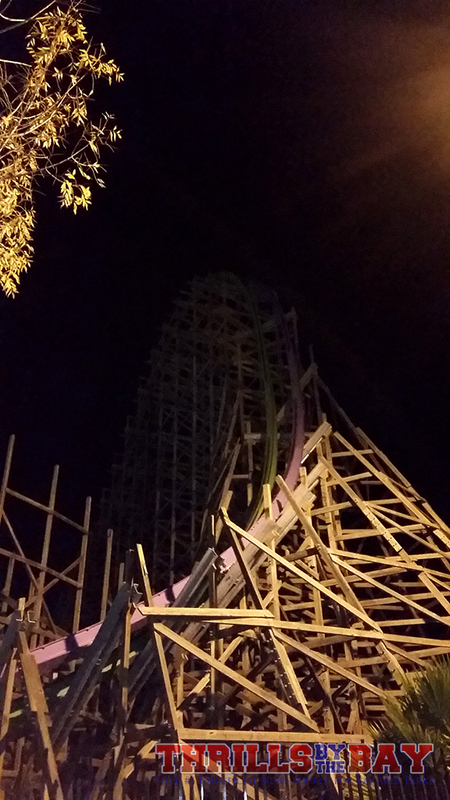 We did however try to get a few photos from ground level near the Joker exit. 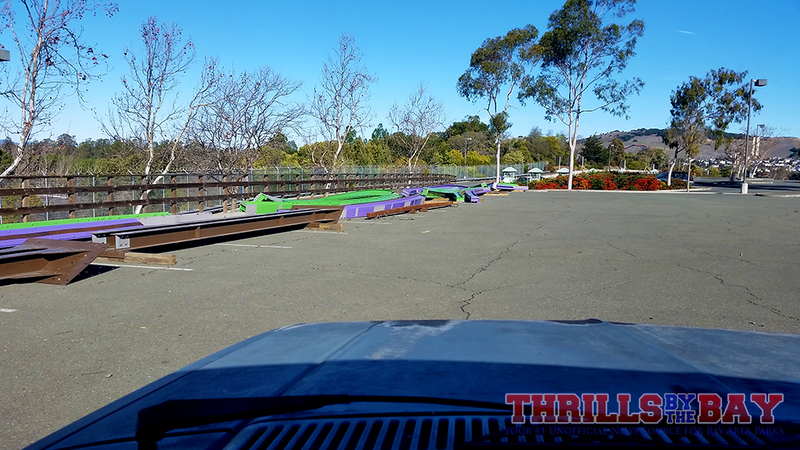 The first rails that were installed several weeks ago. We really like the 2-tone colors! 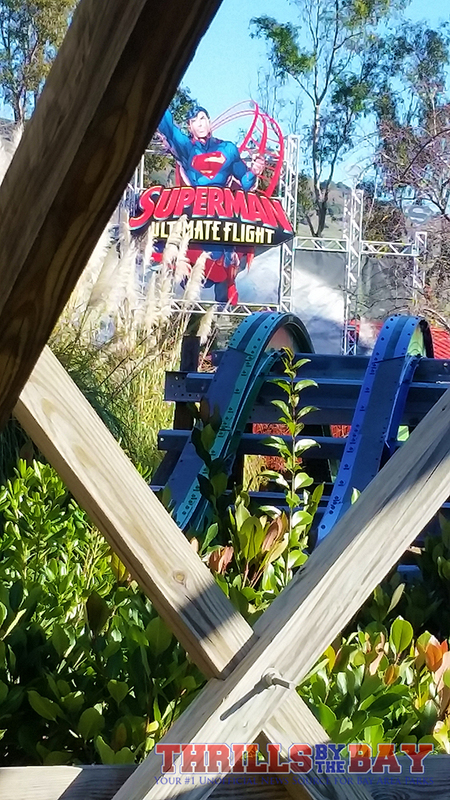 A view of Joker as seen from Superman Ultimate Flight overflow queue. What's those orange and green things on top of the trailers? So why are we talking about the pre lift? There's some differences in the actual ride from the original rendering. Initially, the rendering showed a rather dull start to the ride where you had too much of a pause between the 2 camel backs and the turns... In reality, there is a series of small bunny hills that were added. It looks really bizarre and could create a fun, whacky moment before you climb the lift. Twisted Colossus down at Six Flags Magic Mountain also starts off with some strange mini bunny hills. If only V2 was not down for its annual refurb, we could have gotten another angle of that pre lift section. V2 was down and the area was blocked off so this is as far as we could get to look at the lift. The first bunny hill, this will be a great spot for snapping photos of riders. 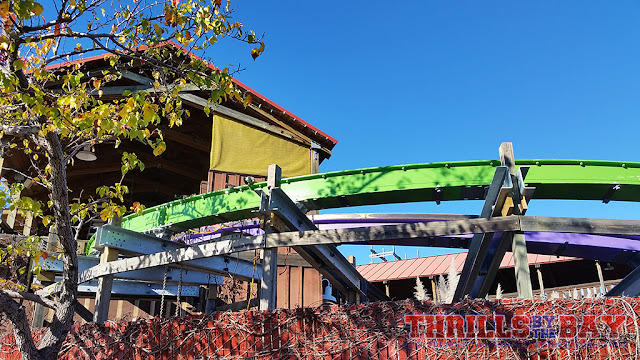 Last thing we wanted to point out was the step up under roll as that begins to take shape. 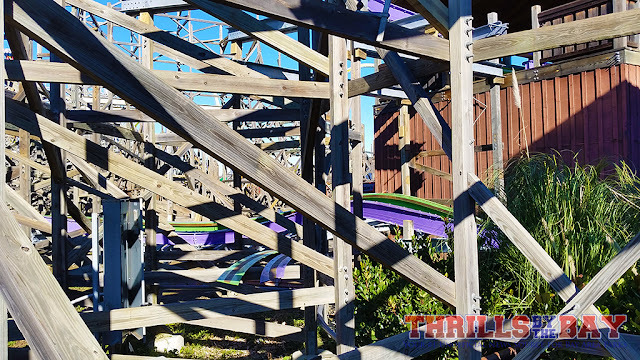 This "inclined dive loop" as we want to describe it will for sure be loaded with some hand choppers as you twist through a series of "boxes". 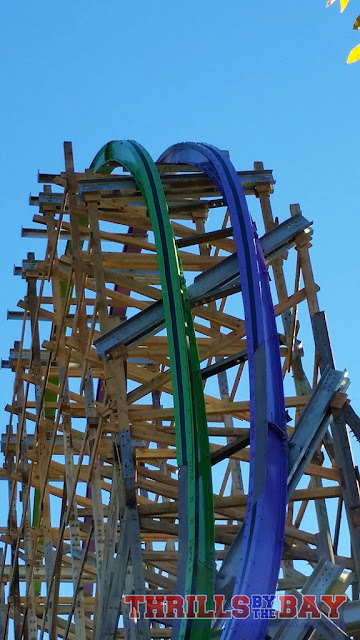 The Step Up Under Roll is taking shape. That's a wrap, we'll be back at some point this month to check up on The Joker. Until then, stay tuned and have a happy 2016! 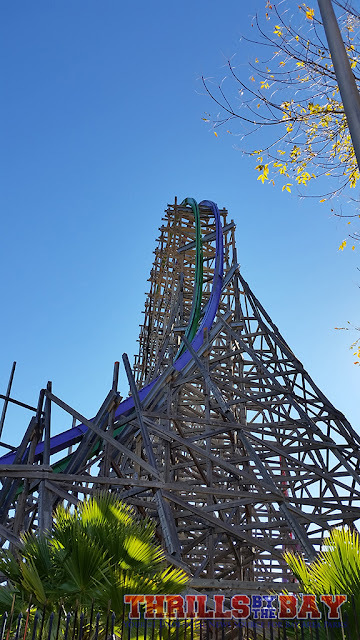 Thanks for reading and feel free to follow our Facebook Page for live updates in the park!